It's that time of year again and it means I've been spending important anime-blogging time working on presentations for Anime North! 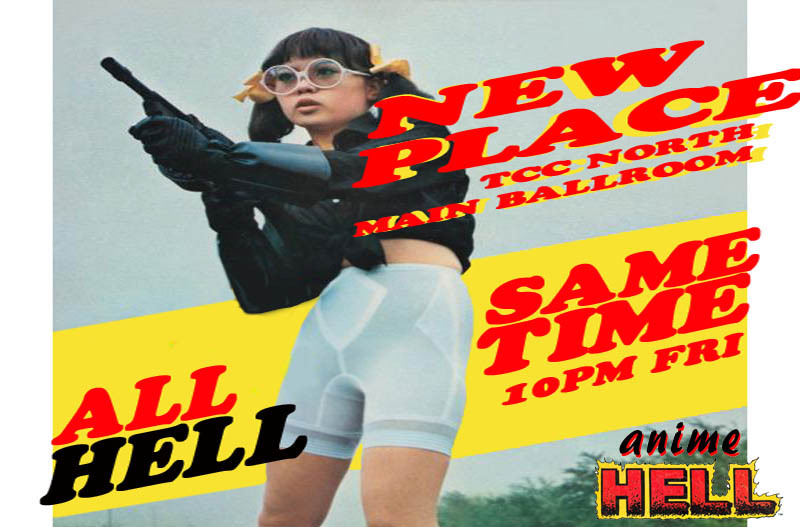 If you're in the area and had the forethought to pick up your admission before they all sold out - yeah, they cap the membership, and they need to because this con is huge - then why not drop my one of these events I'm involved in eventing? 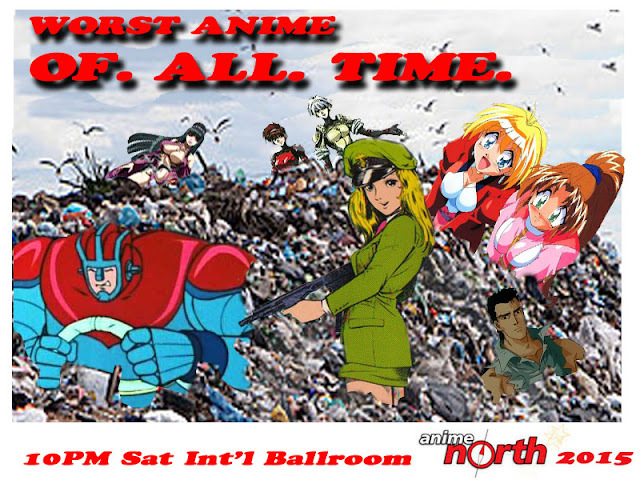 Friday night is the traditional Anime Hell Night In Canada, full of shorts and clips and assorted assembled Frankensteinian non-contextural oddities that make it a delight to the eyes and other senses. 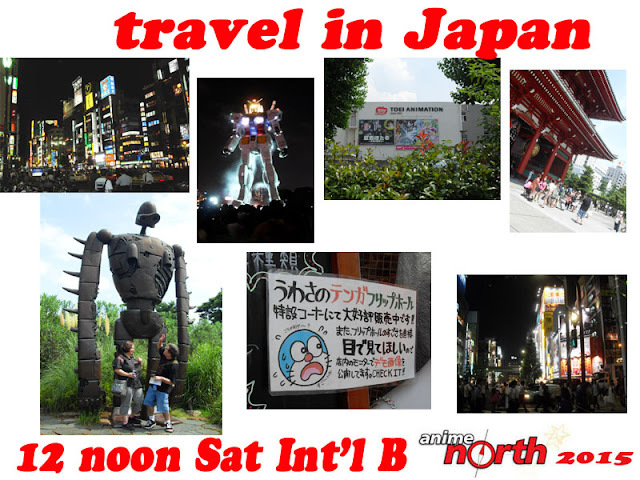 On Saturday at noon join myself and Shaindle Minuk and whoever else we can grab who's been to Japan recently as we discuss the tourist experience in Tokyo and beyond. 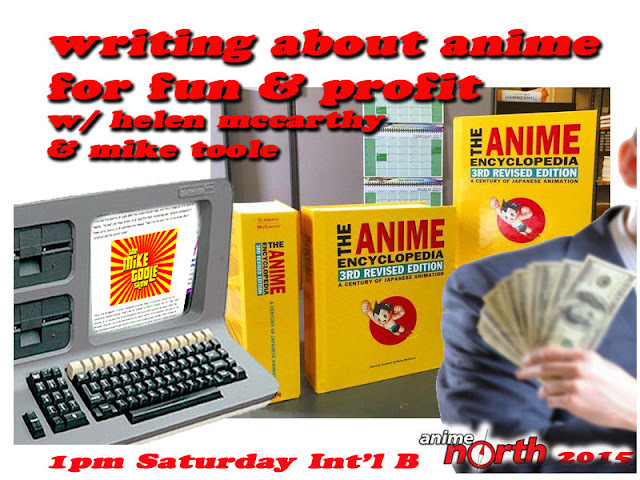 At 1pm on Saturday Helen "Anime Encyclopedia" McCarthy and Mike "Anime Jump" Toole will discuss their entertaining and profitable anime-journalistic careers! 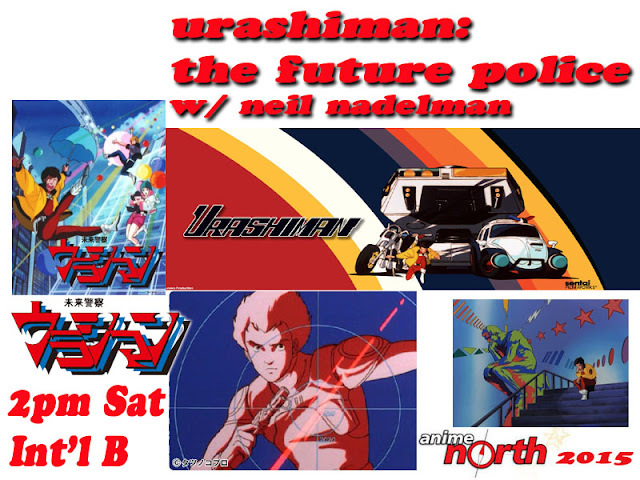 At 2pm noted anime translator Neil Nadelman will tell you all about a classic anime series he's been localizing - the Tatsunoko future-police comedy Urashiman! When 3pm rolls around that means it's time for Mister Kitty's Stupid Comics, as Shaindle Minuk and myself take you on a trip through our crumbly, yellowing archive of six decades of terrible comic books. 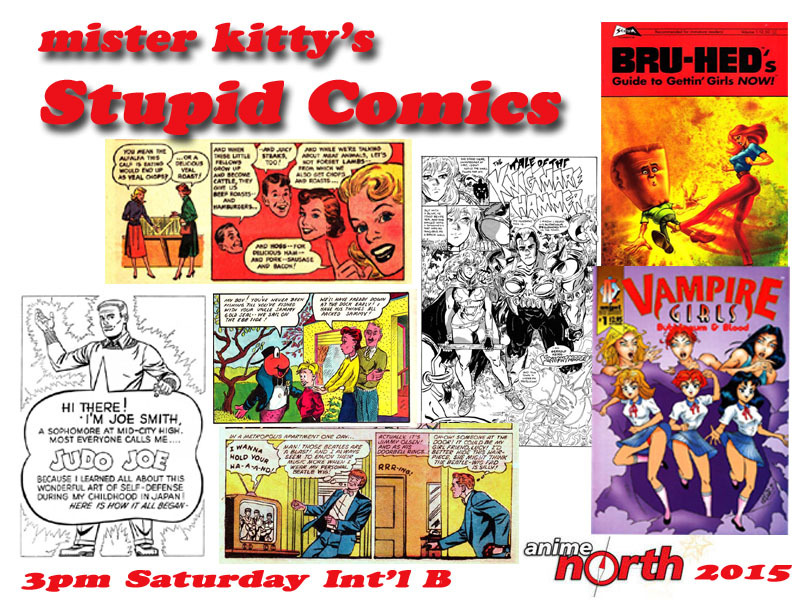 Prepare to have your intelligence insulted! 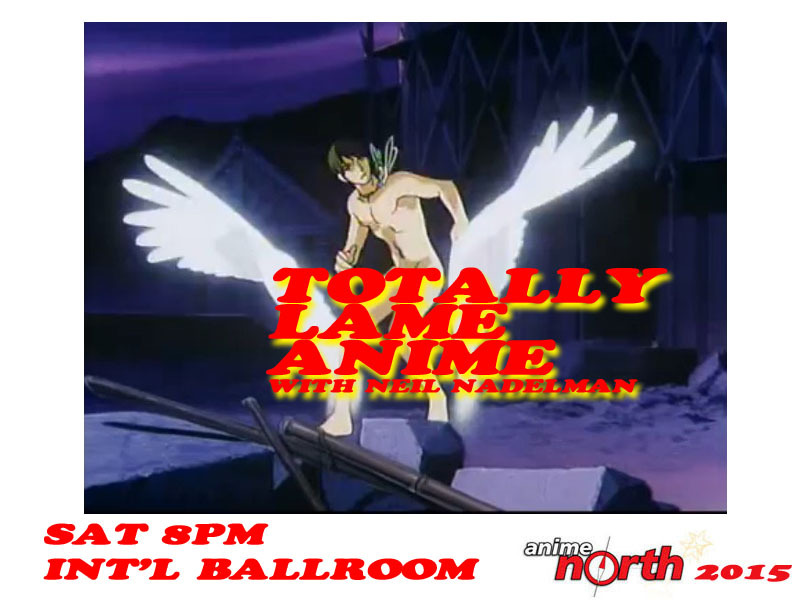 It's 8pm at Anime North and that can only mean one thing - we open up the International Ballroom and Neil Nadelman brings out the most totally lame anime that ever lurched out into the public eye! Not to be outdone, at 10pm Mike Toole unlocks the landfill of terrible with the Worst Anime Ever! 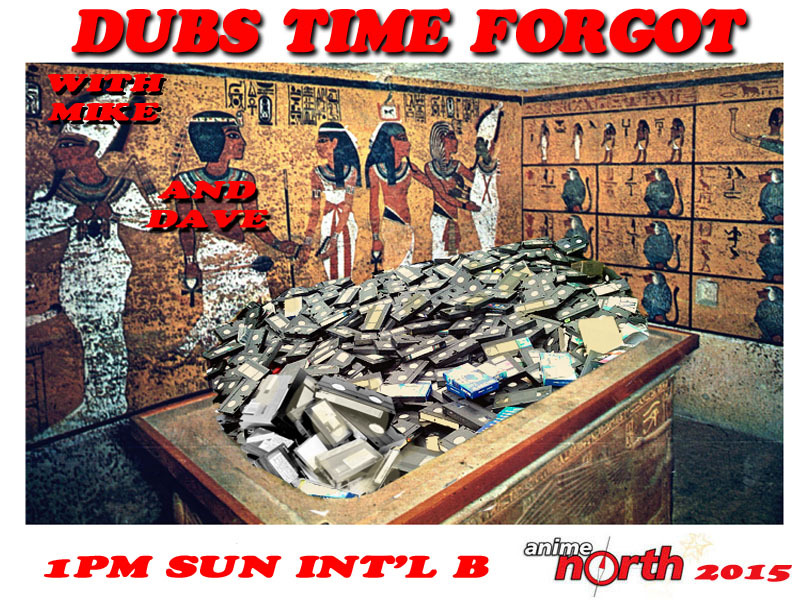 at 1pm on Sunday, Mike Toole and Dave Merrill dig deep and uncover some dubbed anime that history has forgotten, sometimes rightfully so. 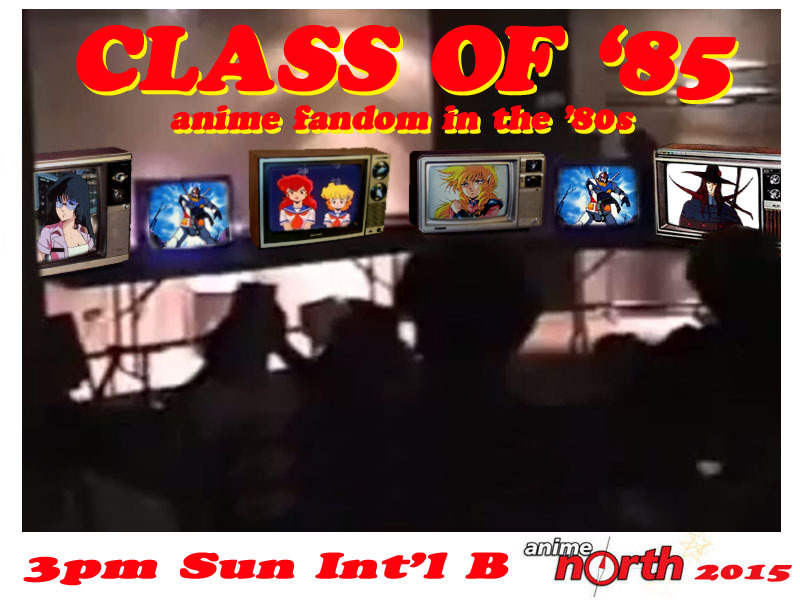 And at 3pm on Sunday, Dave, Neil, and a cast of old-timey anime fan veterans tell you what it was like to be an anime fan back in the 1980s, in the days of tube TVs, VHS, and print fanzines! It's gonna be a wild weekend at Anime North so if you're anywhere in the southern part of Ontario or the northern parts of New York, Pennsylvania, Ohio, or Michigan, you ought to come on over!